Woke up to a sunny Sunday morning and I called my nephews Johan and Johari for a day trip out of Kuala Lumpur. After good reviews by my neighbours I decided to spend the day at the Sungai Chilling Ikan Kelah Sanctuary (Mahseer) where the fishes are being reared in the wild. 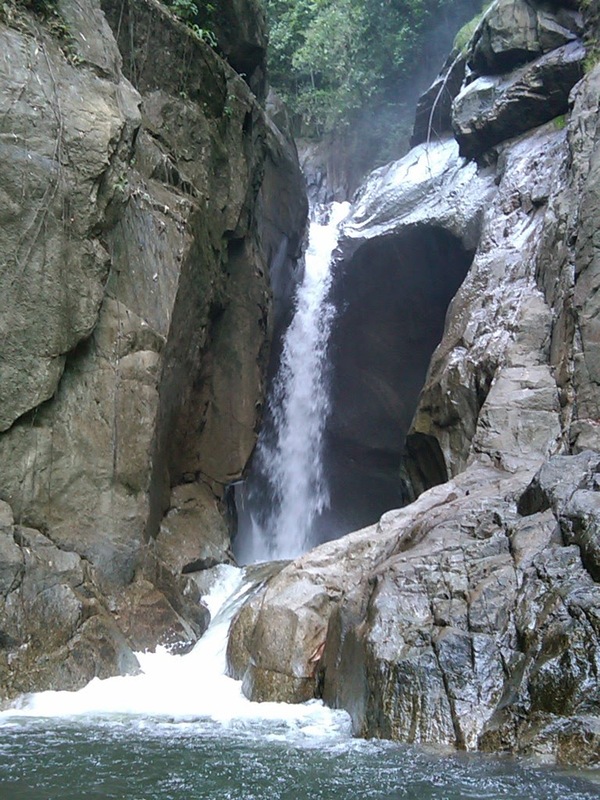 The sanctuary is located along the old (not old anymore) Kuala Kubu – Gap road. which took me 80 minutes drive to get there.The Sanctuary is open to public from Fridays to Sundays only. Reached the entrance of the Sanctuary at noon and started to walk to the Sanctuary Office. Along the way to the Sanctuary office we could hear the roar of the waterfalls and see the campsite that was beside the Chilling river. 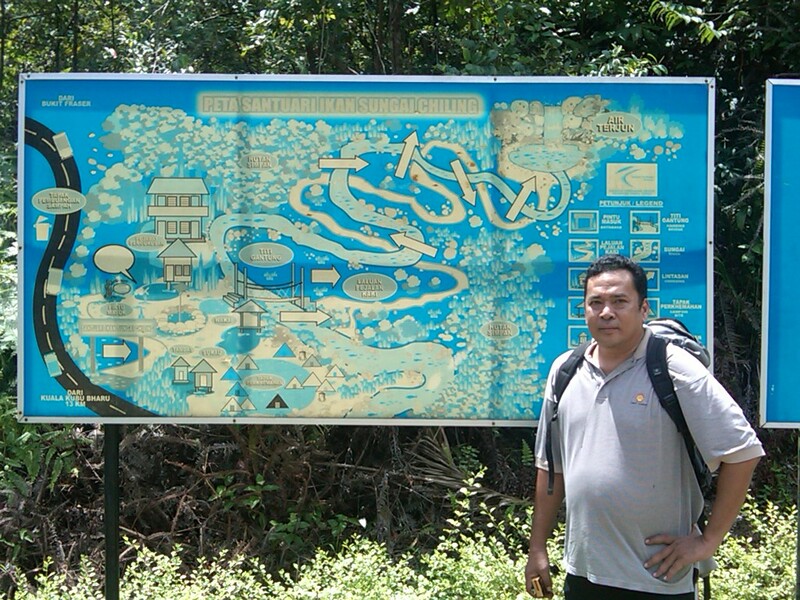 We had to pay a sum of one ringgit each to enter the Sanctuary which was about a 45-50 mins walk to the main waterfall. The track was a secondary jungle track beside the river and we had to wade five times across it. It was a bit tiring but the reward was awesome as the sight of the main waterfall was breathtaking. 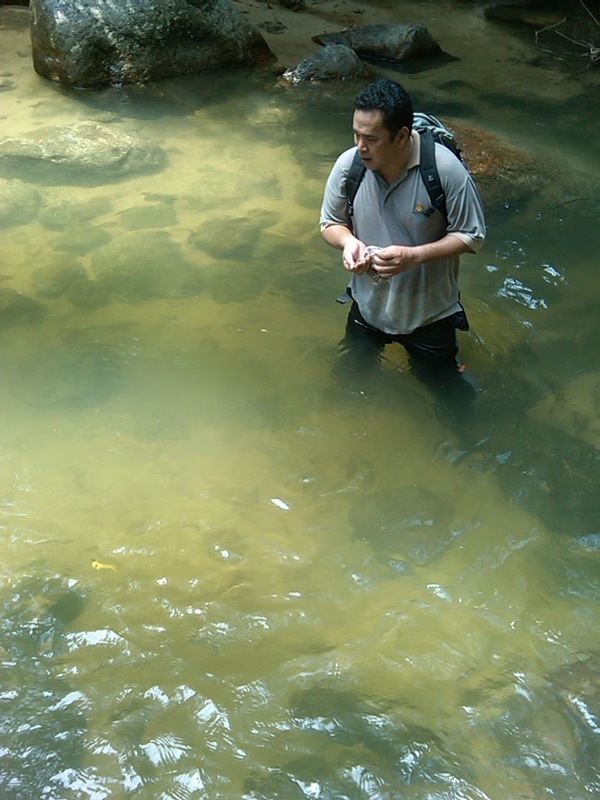 The pool at the waterfall was full of small Kelah fishes as it was not the season to harvest.